Looks great Jeff, thanks so much! Glad you like it, Trekkie! 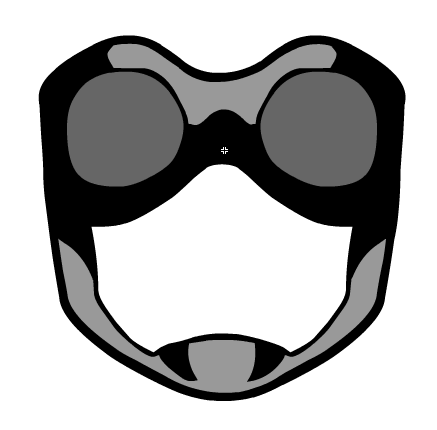 Note that the lenses are color2 and can be made more or less transparent to let the eyes below show. Awesome! Thank you Trekkie and Jeff! Nicely done, sir! A great new mask.